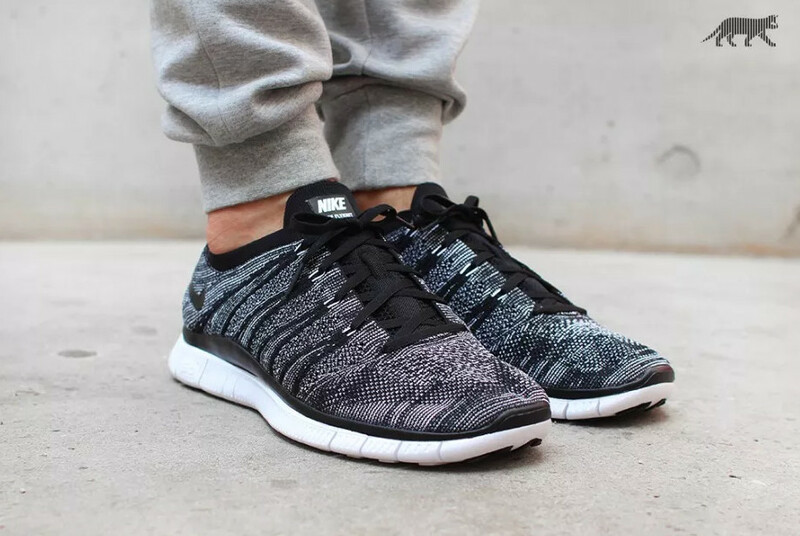 The Free Flyknit NSW dons the look. 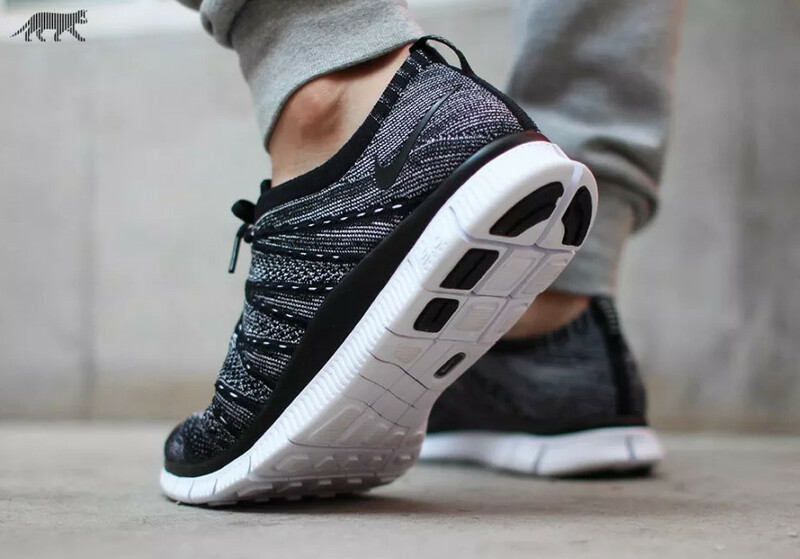 The "Oreo" Nike Flyknit Racer isn't the only knit pair out there from the Swoosh that's got the static black and white look going on. 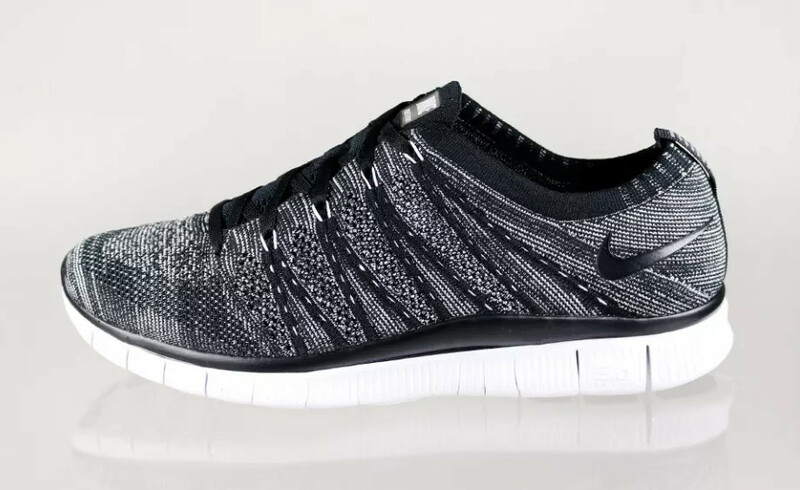 The awkwardly named Nike Free Flyknit NSW is doing a similar thing. Here the shoe wears the look on its upper and splits its sole between a black topline and a clean white for the Free tooling on bottom. 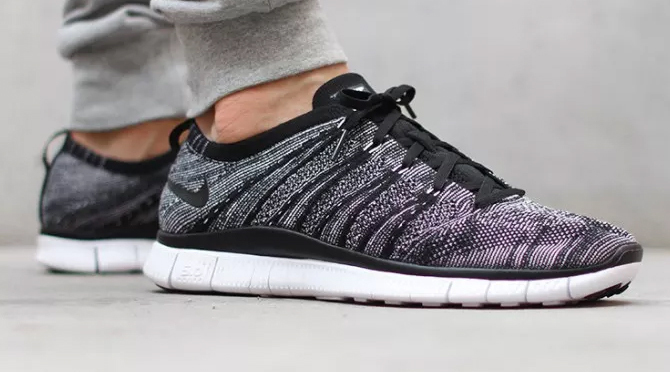 The Nike Free Flyknit NSW has sometimes been slow to show up in the U.S., so there's no guarantee that this pair will be in stateside shops anytime soon. Even the Euro spots aren't getting their pairs till September.